It’s finally starting to feel like spring, the sun is out, flowers are blooming, and summer is just around the corner. Unfortunately, over the winter I spent a lot of time inside and indulging too often in comfort foods. Pulling my summer clothing out of storage has motivated me to eat healthier. For the last few weeks, I’ve been experimenting with cutting back on carbs. I’ve already lost a few pounds, so it’s something that I’m planning sticking with. At first, I was a little reluctant to try a low carb diet. I thought it would be difficult to be both low carb and vegan, but it’s really not. 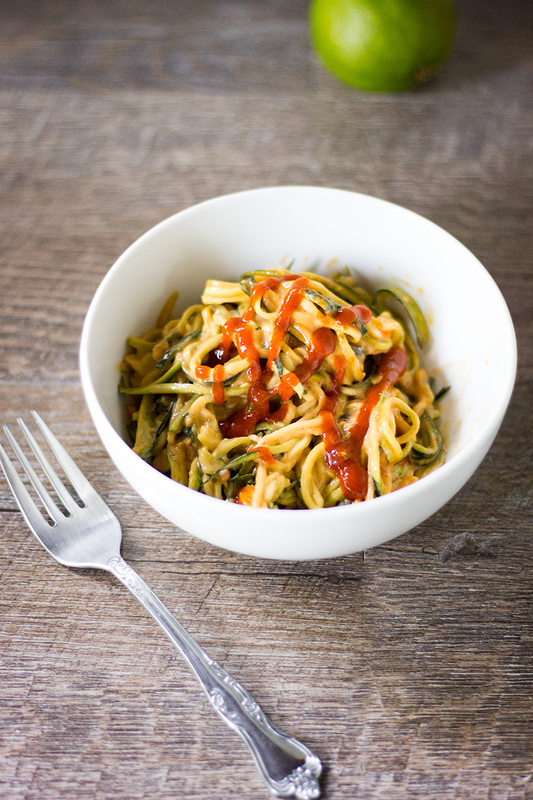 One of the easiest ways to cut back on carbs is to swap out pasta with healthy substitutions like zoodles. 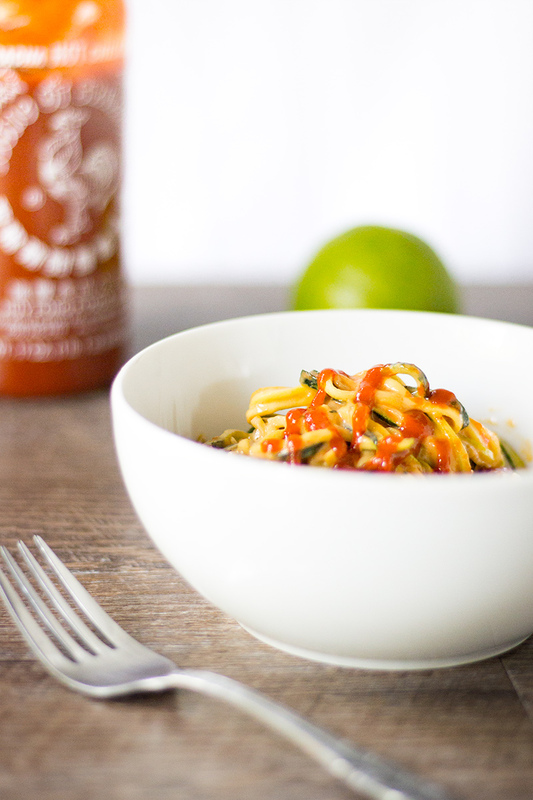 Zoodles are simply noodles made out of zucchini. 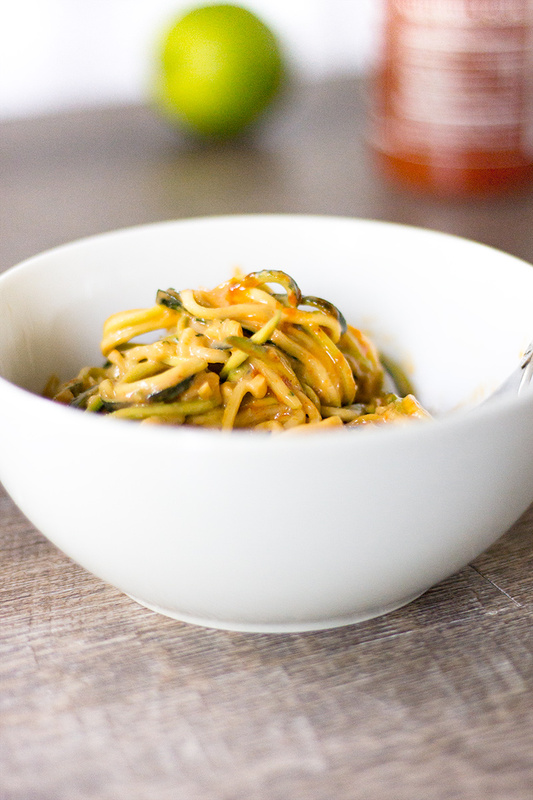 You can do this easily with a spiralizer or even with a julienne peeler. 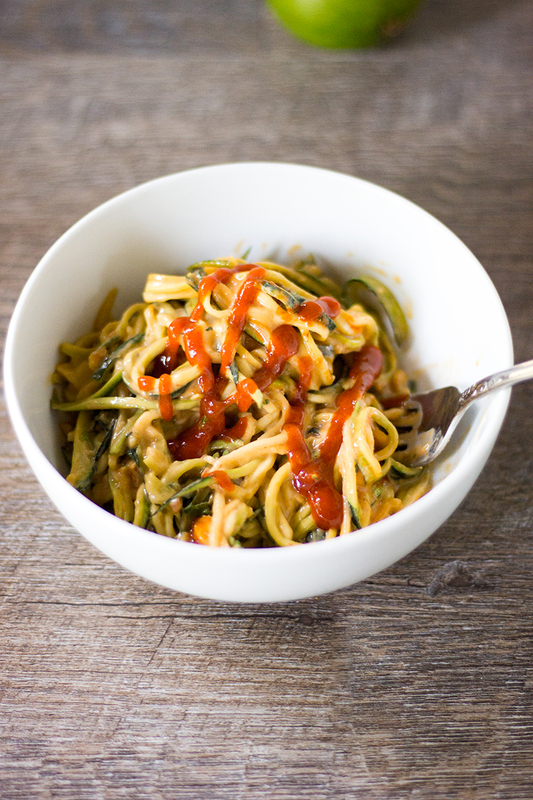 Not only are zoodles a great way to cut back on carbs, they also an easy way to add more vegetables to your diet. You can cook them by throwing them in with boiling water for a few minutes, but personally, I prefer them raw. 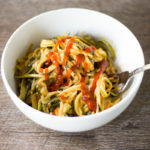 They have a have a pretty neutral flavor and go with just about any kind of pasta sauce. Using fresh herbs is a perfect way to add a lot of flavor while keeping it healthy. 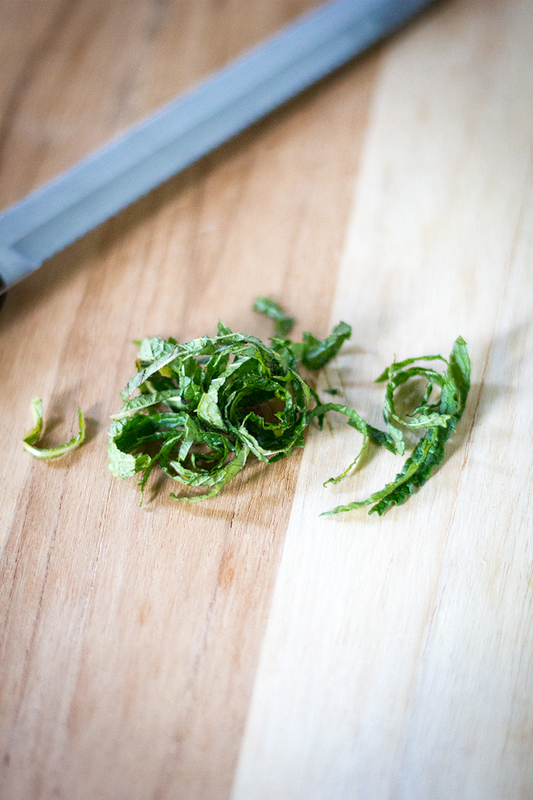 For this recipe, I cut my herbs using chiffonade technique. Simply stack several leaves, tightly roll them, and then slice them into thin sections. With delicious recipes like this, it’s easy to be a low carb vegan. 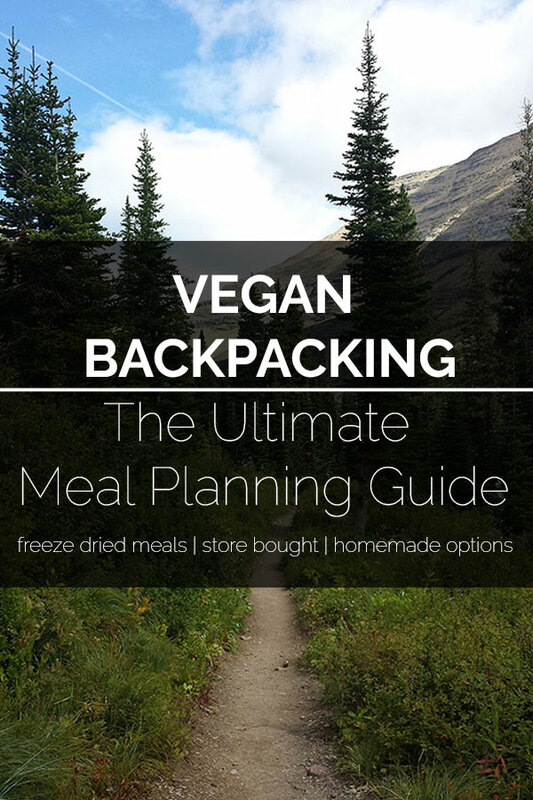 For more low carb vegan meals check out Vegan Keto Breakfast Smoothie, Low Carb Vegan Chai Seed Pudding, and Vegan Crustless Mini Quiches. An easy, healthy, and delicious low carb vegan dinner. Add the garlic a cook until lightly golden. Remove from heat. Add the cumin and cook for 30 seconds, then sriracha, soy sauce, peanut butter, and lime juice. In a large bowl, mix together the zucchini and herbs. Pour the sauce over the zucchini and mix until all of the zucchini is coated.